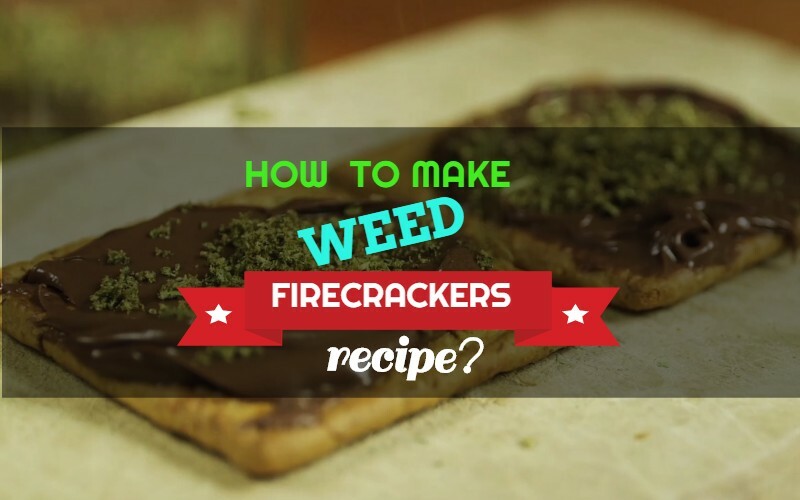 Weed firecrackers are possible the most exciting and well-known weed recipe aside from the pot brownie. They are easy to make, they look great and they taste amazing. With the range of gourmet cannabis edibles on the market, it is best for beginners to start off with simple and straightforward recipes that still look and taste great. Not everyone needs or wants to become a word class chef. Many simply want to get high using cannabis edibles. And it may be nice to create a cannabis edible without the effort of spending the evening covered in flour and laboring for 2-3 hours. And the brilliance of weed firecrackers come in their simplicity. Weed firecrackers are really just marijuana, butter and crackers. The first step will be to decarboxylate your marijuana. You do this by breaking up the marijuana, placing it in a baking tray and cooking it for about 15 minutes. Remember to preheat the oven. Set the decarboxylated marijuana aside for the moment. Now it is time to assemble the marijuana firecracker. Heat the oven up to 300 degrees Fahrenheit. Put one thick layer of peanut butter on one side of each cracker. Now sprinkle on one of the buttered sides with yourcannabis. Take the time to make sure that it is really mixed in well and that the weed is as small and ground up as it can be. The finer the better. Add the second cracker on the first to make a sandwich. Squish them together and wrap in aluminum foil. Put them in the oven and bake them for 20 minutes or so. You now have perfect marijuana firecrackers! You can make the whole process even easier by using cannabis butter, which means you do not have to go through the process of decarboxylating your marijuana. But it is something of a trade-off. There is nothing really better than freshly ground and decarboxylated weed as opposed to cannabis butter bought online. Wedd firecrackers are one of the easiest and most enjoyable of all cannabis edibles. Enjoy!